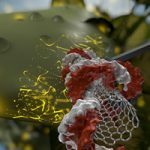 High aspect ratio nanomaterials enable delivery of functional genetic material without DNA integration in mature plants – a simple and speedy method similar to a sewing with a needle and thread. The results are published in Nature Nanotechnology. 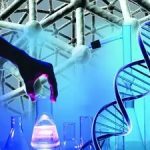 The Indian biotechnology industry has flourished over the years. As of 2016, India had over a thousand biotechnology start-ups. Department of Biotechnology has set up 17 Centres of Excellence at higher education institutions across the country. Biotechnology Industry Research Assistance Council (BIRAC) has successfully supported 316 start-ups in its six years of existence. 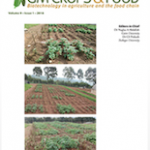 This e-paper provides not only cross-border Biofertilizers and Biopesticides development progress from industry, academia and government section, but also latest business information worldwide. 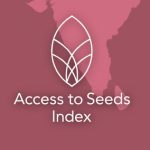 Watch out The Access to Seeds Index for South and Southeast Asian seed companies. It is one of the first benchmarks to be published as part of the World Benchmarking Alliance (WBA), launched last September during the UN General Assembly in New York. The goal of WBA benchmarks is to increase the contribution of the private sector to achieving the SDGs. 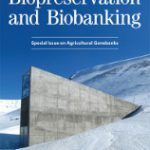 Special issue of ‘Biopreservation and Biobanking’ on ‘Agricultural Genebanks’, is based on the experience of the Global Crop Diversity Trust and its partners in building a global system for ex situ conservation of crop diversity. It provides a glimpse of how modern agricultural biobanks organize their work to embrace new challenges, and work together to share ideas and technologies. 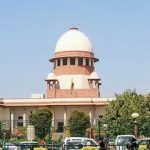 The Supreme Court of India asked the government to make its stand clear on the field trials of Genetically Modified (GM) mustard crop in two weeks. 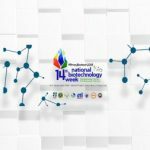 The 14th National Biotechnology Week (NBW) of the Philippines starts this week with the Department of Science and Technology (DOST) as the host agency. 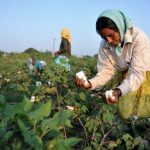 China has experienced large and sustained reductions in pesticide use as a result of adopting the GM cotton crop. Golden Rice will be like the normal rice with high a beta-carotene with no additional cost to be paid by the farmers and consumers since the price will also be the same, according to Philippine Rice Research Institute (PhilRice) Senior Science Research Specialist, Reynante Ordonio. 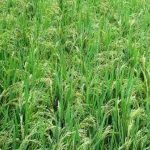 The way of planting Golden Rice will also be similar to that of existing rice varieties. Biotech Country Facts and Trends summaries in 1-2 pages that highlight the commercialization of biotech crops in the developing countries have been released by ISAAA. Data on biotech crop commercialization (hectarage and adoption), approvals and planting, benefits and future prospects in each country are presented in a brief and easily understandable manner. Australia’s Office of the Gene Technology Regulator (OGTR) has permitted field trails of GM canaola for altered oil content and herbicide tolerance for 5 years to gather the data for agronomic performance, oil profile and content, nutritional assessment, compositional analysis, molecular analysis, and genetic stability. 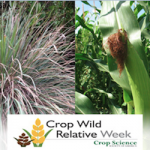 Crop Science Society of America celebrates ‘Crop Wild Relative (CWR) week’ during September 22-29, 2018. To learn more but in simple way through web blogs, video and other stories about CWR and its use in crop improvement programs, visit the above link. 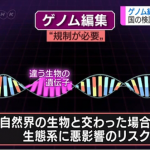 The Members of Ministry of Environment (MoE), Government of Japan, agreed in a Technical Committee meeting that as long as a product of gene editing technology does not contain nucleic acids from a foreign source, it should not be regulated under the existing genetic engineering regulations in Japan. The MoE is of the opinion to have an “Advisory Panel on GMOs” meeting shortly which will include legal experts also to discuss the decision of Technical Committee. 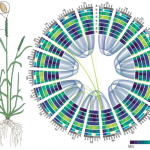 The International Wheat Genome Sequencing Consortium gives hope to wheat farmers as they publish the fully annotated reference wheat genome, opening new vistas in research and breeding of wheat which is one of the major staple food crops in the world. 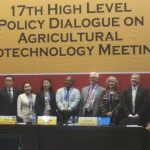 Dr Rishi Tyagi, Coordinator, Asia-Pacific Consortium on Agricultural Biotechnology and Bioresources (APCoAB), Asia-Pacific Association of Agricultural Research Institutions (APAARI), participated in Asia-Pacific Economic Cooperation High Level Policy Dialogue on Agricultural Biotechnology (APEC HLPD AB), 22ndAgricultural Technical Cooperation Working Group(ATCWG) Meeting and ABAC Food Security Symposium, on August 6-9, 2018, held at Port Moresby, Papua New Guinea. 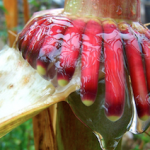 Hundreds years old corn landrace from Mexico has evolved in a way to make its own nitrogen, which could revolutionize farming. 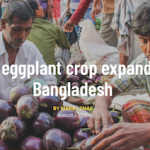 History, accomplishments, and future direction of the Bt brinjal (eggplant) program in Bangladesh. 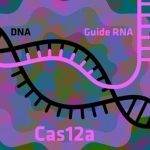 Scientists have found conclusive evidence that Cas9, the most popular enzyme currently used in CRISPR gene editing, is less effective and precise than one of the lesser-used CRISPR proteins, Cas12a. 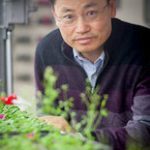 Because Cas9 is more likely to edit the wrong part of a plant’s or animal’s genome, disrupting healthy functions, the scientists make the case that switching to Cas12a would lead to safer and more effective gene editing. Pulses are a key source of protein in most Indian diets and India is the biggest consumer of pulses in the world. Yet, with stagnation of production in spite of increase in demand, there has been an increasing demand-supply gap for pulses in India. A multi-pronged approach including quality seed availability and increased profitability for farmers can help India bridge this gap. 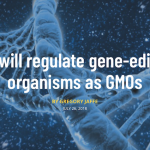 The European Court of Justice (ECJ) has reached the conclusion that organisms made by any mutagenesis method are GMOs under the European GMO regulations. They must meet the same regulatory requirements that more traditional GMOs must abide by, such as an environmental risk assessment and government authorization. 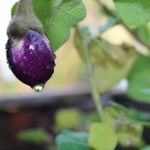 Commercialization of Bt brinjal is likely to be next year in Philippines. 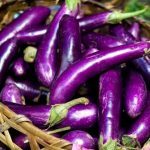 Associate Professor Cesar Quicoy of the Department of Agricultural and Applied Economics at the University of the Philippines-Los Baños told in a symposium that the Institute of Plant Breeding is already in the process of applying for commercialization of Bt brinjal, 10 years after its introduction in the country. According to his statement, commercialization of Bt brinjal will be possible by next year in Philippines. 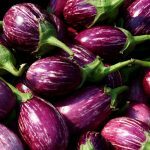 Filipino farmers are losing as much as P33.85 billion annually due to noncommercialization of Bacillus thuringiensis (Bt) eggplant as the genetically modified (GM) crop could double their net income, according to an economist. Genetically modified maize (GMM) is a pest resistant crop. 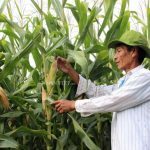 If GMM is farmed on a large scale, the amount of maize Vietnam needs to import will decrease. However, the GMM cultivated areas remain far below expectations. The RS Paroda Genebank at ICRISAT hosts 126,830 accessions collected from 144 countries. 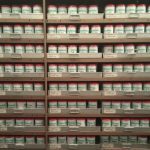 It is one of the largest international repositories of plant genetic resources. Each accession is now being accorded a globally unique and permanent identifier or Digital Object Identifier (DOI) just as is done for published research. DOI assignment guidelines have been issued by FAO and Treaty on September 23, 2016. Indian farmers are ready to buy GM cotton seeds at all costs because GM seeds give a better productivity and profitability to cotton growing farmers. The Office of the Gene Technology Regulator has issued licence DIR 162 to CSIRO, authorising the limited and controlled release (field trial) of wheat genetically modified (GM) for rust disease resistance. 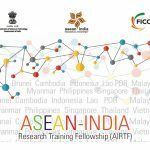 A funding program to support ASEAN young researchers with aims in building their capacities and to work at any Indian research /academic Institution. A prestigious fellowship started by the Department of Science & Technology (DST), Government of India unfer the ASEAN India Science and Technology Development Fund (AISTDF) and implementing partner the Federation of Indian Chambers of Commerce and Industry. 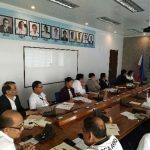 The International Rice Research Institute (IRRI) has announced that the Philippines Department of Agriculture-Bureau of Plant Industry (DA-BPI) has given the approval for the conduct of public consultations on the proposed field trials for GR2E Golden Rice. 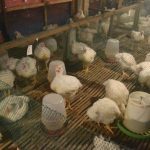 European scientists believe that a change in biopiracy rules in Nagoya protocol will hamper the research and even jeopardize the food safety in the long term. However, important issues and the spirit of the Protocol should remain intact as “everyone should benefit” from the use of the information. Regulatory process under CBD framework unintentionally curtail the biodiversity research and limit the international collaboration amongst biodiversity-rich countries – an article published by Prathapan et al in Science. 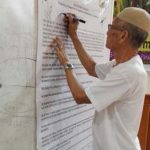 The views mentined in the article were endorsed by 172 co-signatories belonging to 35 countries. 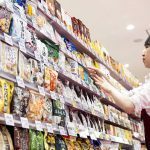 Scientists from USA reported that mandatory labelling policy of GE foods in USA reduced the opposition level to GE food and helpful to communicate the benefits and risks to consumer and change their perception for GE food. Climate change is a major challenge for agriculture and food security and GM technology can address problems that cannot be solved through conventional crop improvement methods. 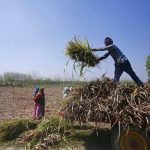 Indian scientists inserted a bacterial blight resistant gene in popular rice variety, which is grown in 80,000 ha in India, through marker-assisted backcross breeding method. 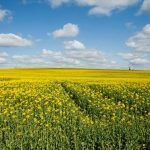 On the basis of cultivation of four main GM crops – soybean, corn, cotton and canola, annual updated analysis shows that there continues to be very significant net economic benefits at the farm level amounting to $18.2 billion in 2016 and $186.1 billion for the period 1996–2016 (in nominal terms). These gains have been divided 48% to farmers in developed countries and 52% to farmers in developing countries. Dr. Laura Pham, a chemist and food scientist from the University Researcher IV in the Oils and Fats Laboratory and Feeds and Specialty Products Laboratory of the National Institute of Molecular Biology and Biotechnology (Biotech) of the University of the Philippines Los Baños in Laguna, developed copra meal (generally considered as waste) enriched with protein and mixed in animal feeds, making the livestock and fish healthy for human consumers. 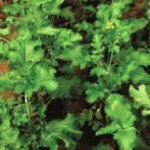 Scientists at Tata Energy Research Institute, India, developed an early flowering transgenic mustard variety. 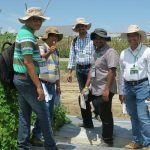 The research will help to develop a plant variety in mustard with shorter life cycle and with better yields through reduced exposure to the harsh climatic conditions in the fields. 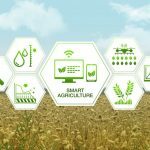 The Philippines is promoting the adoption and practice of advanced technology and smart farming methods such vertical farming, micropropagation, cryopreservation and hydroponics, with the aim of developing technology to increase crop production and minimize losses. Indian farmers are using social media to demand GM seeds of cotton. The Shetkari Sanghatana (Farmer organization) is organizing conferences for farmers and consumers to create awareness about GM seeds and its volunteers are also going directly to villages to speak to farmers about it. It will help the smallholder farmers to cut down the cost of cultivation and increase farmers’ income. The CRISPR/Cas9 genome editing system is a robust and highly efficient tool for generating target gene mutants, by which the genes of interest may be functionally dissected and applied through genotype-to-phenotype approaches. 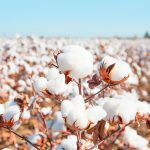 Using this new breeding method, Chinese scientists developed fungus-resistant cotton. These lines can be used as a germplasm to breed disease-resistant cotton varieties. 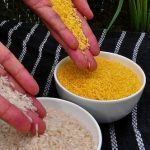 The United States Food and Drug Administration (FDA) has approved Golden Rice, marking the third positive international assessment for the genetically engineered biofortified crop. 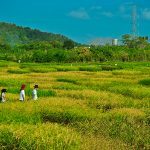 Previously, Food Standards Australia, New Zealand and Health Canada gave Golden Rice the stamp of approval in February and March 2018 respectively. 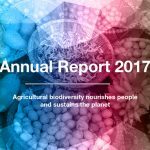 On the International Day of Biological Diversity, Bioversity International published its 2017 Annual Report. This report presents scientific evidence, management practices and policy options to use and safeguard agricultural and tree biodiversity to attain sustainable global food and nutrition security. Intellectual property rights in relation to plant varieties, including transgenic varieties, are the subject matter of protection under the provisions of the Protection of Plant Variety and Farmers Rights Act, decided by Indian court. It may affects the investment by private sector in GM research and future of GM crops in India. The Asia & Pacific Seed Association (APSA)/World Vegetable Center Vegetable Breeding Consortium held its second annual workshop on 16-17 May 2017 in Shanhua, Taiwan. 32 seed companies from the Asia Pacific region joined the workshop, for two days of discussions, seminars, and in-field evaluations of various crops. Cultivation of cisgenic or conventionally bred, late blight resistant potato varieties in combination with pathogen population monitoring and a “do not spray unless” strategy resulted in an 80 – 90% reduction of the fungicide use as compared to current common practice. 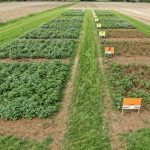 A team of scientists from Wageningen University & Research andTeagasc – the Irish Agriculture and Food Development Authority published these findings in the scientific journal European Journal of Agronomy. USDA does not regulate or have any plans to regulate plants that could otherwise have been developed through traditional breeding techniques as long as they are not plant pests or developed using plant pests. The USDA’s recent decision to stay out of the business of regulating gene-edited crops could be a game changer for a sector long dominated by a handful of companies armed with massive research and development budgets. On May 8th, Pakistan Agriculture Research Council (PARC) and COMSTECH Secretariat, Islamabad organized an ‘International Workshop on Plant Genetic Resources and Gene bank Operations Management Systems’, to train 35 participants from OIC member states. 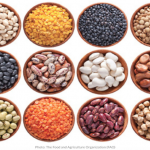 Genetic Literacy Project reports that agricultural biotechnologies has significant impact on food security and environmental safety developing countries including China, India and Pakistan. 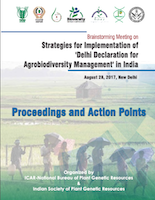 A brainstorming meeting on Strategies for Implementation of ‘Delhi Declaration on Agrobiodiversity Management’ was organized in India to chalk out a plan for effective implementation of the 12-point Delhi Declaration on Agrobiodiversity Management, adopted by the 1st International Agrobiodiversity Congress (IAC 2016). This document summarizes the deliberations of the meeting and the proposed action plan for management of genetic resources in India to achieve the Sustainable Development Goals and Aichi targets. 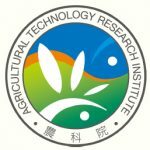 A group of scientists from IRRI, the Institute of Crop Sciences of the Chinese Academy of Agricultural Sciences (CAAS), BGI-Shenzhen, and 13 other partner institutions, published a collaborative research that will enable scientists to discover new gene variants and characterize known genes for important traits, such as the natural ability of a particular variety to resist diseases and withstand floods, drought, and salty water. 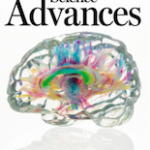 This study is recently published in Nature (doi:10.1038/s41586-018-0063-9). It is estimated that about 1% of germplasm conserved in genebanks are utilized. 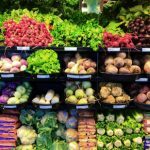 Genomics has potential to revolutionize the utilization of genebank collections for having positive impact on food and nutritional security, concluded by Australian scientists. 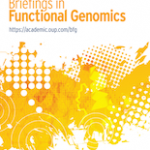 This review summarizes how germplasm collections are utilized to identify superior alleles/haplotypes through NGS based sequencing approaches and how genomics-enabled technologies together with precise phenotyping are being used in crop breeding. Pre-breeding and genomics-assisted breeding approaches are contributing to the more efficient development of climate-resilient crops. Agricultural biodiversity is essential for our survival and well-being. Much like the way vaccines work to protect human health, a rich diversity of species and varieties bolster agricultural production systems to be more resilient and in many cases even ‘immune’ to climate change and food insecurity. 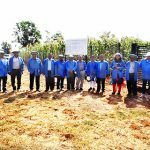 Bioversity International and its partners in Guatemala recently implemented one such diversity ‘injection’. 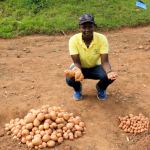 Late blight disease is a major constraint for potato production, costing farmers an estimated $3-$10 billion per year globally. Scientists at the International Potato Center (CIP) decided to try genetic engineering to transfer genes that confer resistance to late blight in wild relatives of potato into potato varieties that are popular with farmers and consumers. The US decision to not regulate the crops developed by gene editing method paves the way for generating genetically altered crops without major regulatory restrictions. This will also open new vistas for other countries in the world. Maintaining this relationship is particularly important when material from genebanks is used to develop new varieties, explains Matija Obreza, Genesys Information Systems Manager at the Crop Trust. The proper identification of parents via DOIs allows the use of the material to be tracked and that helps when determining the impact of genebank collections. DOIs also allow for automated discovery of publications by scanning the Internet for a specific DOI. It will also support the effective conservation and use of PGR in crop improvement programs. The International Wheat Genome Sequencing Consortium gives hope to wheat farmers as they publish the fully annotated reference genome wheat opening new vistas in research and breeding of wheat which is one of the major staple food crops in the world. 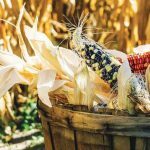 The Crop Science Society of America is proud to host Crop Wild Relatives Week on September 22 – 29, 2018, to celebrate the contribution that these humble and hearty plants have made to increasing food security around the world. The collections of plants; the work being done to collect, conserve, characterize, and use them; and the importance of continuing to do so will be highlighted in blogs, web stories, and infographics. Online resources for anyone interested in learning more crop wild relatives can be found (https://www.crops.org/crop-wild-relative).